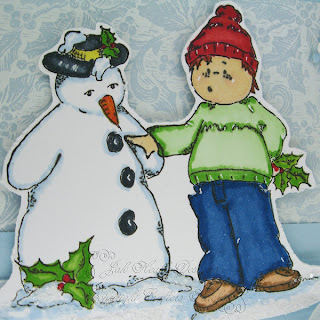 Ollyfant Winter Snowman stamped with versafine and coloured with copic's, I used a holly patterned vellum which was one of those ones you keep in your cupboard for years not wanting to use it. 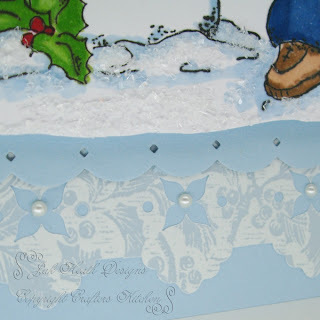 Some border punches by EK Success and Kreaxions mage the fancy paper edges and a couple of snowflake punches for the embellishment, put it all together and added ribbon and pearls to finish. Getting to grips with Copic markers to colour in the image. 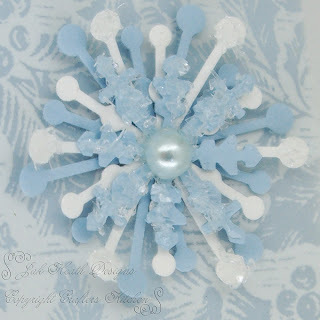 Punched snowflake shapes topped with glass glitter and a pearl on top makes a lovely embellishment. Attention to detail, more crushed glass glitter and a few strategically placed tiny pearls. Ohhhhhh Jak!!! This is wonderful. I love everything about it. Another card up to your usual high standard. All the detail adds up to a perfect card, Jak! The vellum paper does wonders for the design. I love the glass glitter! That vellum is stunning! I would have hoarded it for years...I really like the chunkiness of the crushed glass glitter too. That's a really pretty card Jak. I am practicing colouring, but are using Artquest jewel paints, which are pretty, but I'm still not ready to put images on to card! Anyway, onwards & upwards I'll keep trying! Goodness, have I been asleep. Is it Christmas already!!!! 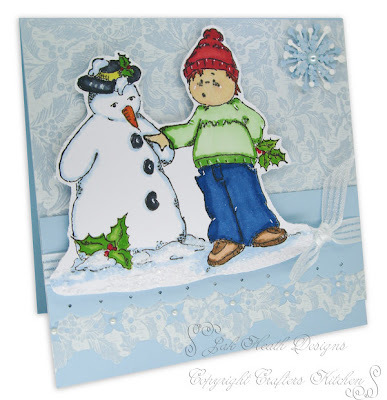 What a beautiful card Jak, I love the attention to detail on the snowflake-beautiful. Another superb card Jak, i just love everything about it.